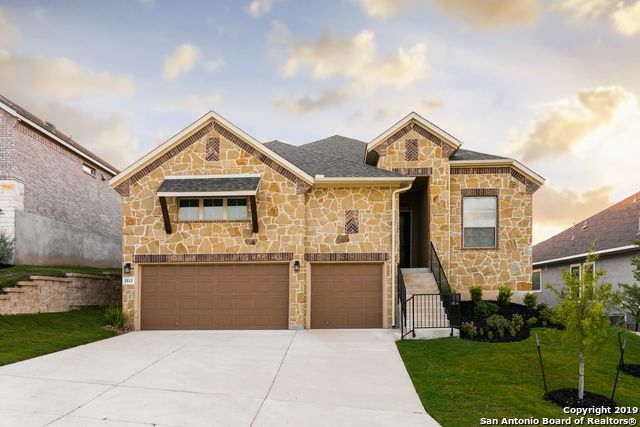 All ARCADIA RIDGE homes currently listed for sale in San Antonio as of 04/25/2019 are shown below. You can change the search criteria at any time by pressing the 'Change Search' button below. "This Magnolia home plan is perfect for entertaining! In this home, the secondary bedrooms are great in size and the secondary bathroom is located in between both suites. The kitchen has a huge oversized island with many cabinets and countertop space to prepare your favorite meals, and is also open to the dining room. The family room has plenty of space for your family and friends. 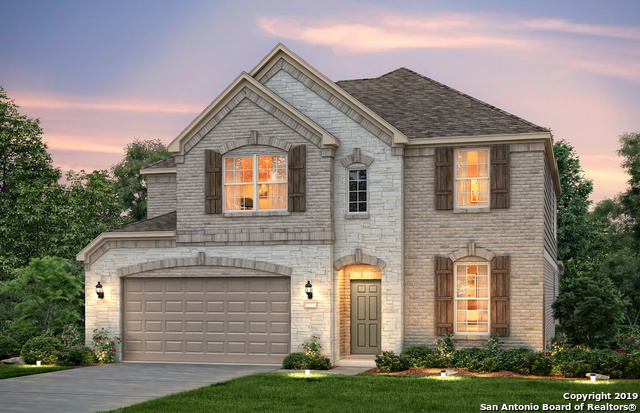 The master bedroom is spacious, and your master bathroom has a separate tub and shower, and a very large walk-in clo"
"You will love this Magnolia II home plan the minute you walk in! In this home, the secondary bedrooms are great in size and the secondary bathroom is located in between both suites. The kitchen has a huge oversized island with many cabinets and countertop space to prepare your favorite meals, and is also open to the dining room. The family room has plenty of space for your family and friends." 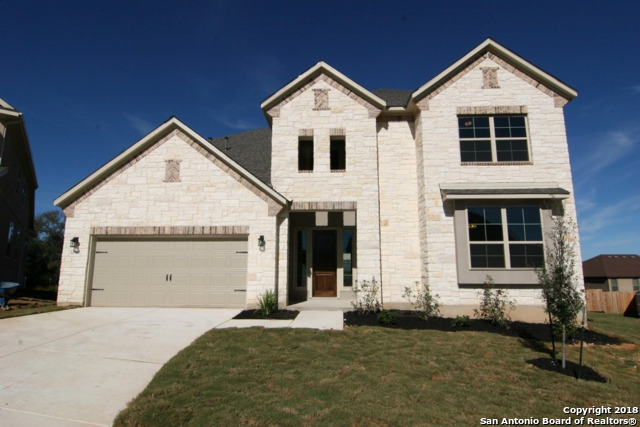 "New Princeton Classic Home in Arcadia Ridge! Messina Plan 3359sqft. This home is nestled on an oversized corner home site & features master down, a formal dining room, study with french doors and a secondary bedroom & full bath on the first floor. Kitchen features stainless steel appliances with a gas range, granite countertops, tile backsplash, and upgraded sink. The master retreat features a tray ceiling with the luxury master bath option. 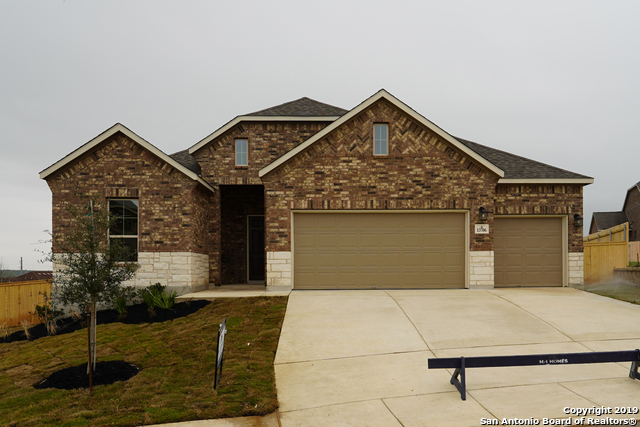 Home is complete with a sprinkler system & covered bac"
"New Princeton Classic Home in Arcadia Ridge! Valencia Plan 3683sqft. This gorgeous home sits on an oversized home site in the middle of a cul da sac and boasts a chic modern decor. The interior offers master down, a study with french doors and a media room. Kitchen features stainless steel appliances with a gas range, granite countertops, and upgraded sink. Kitchen cabinets are 42 maple wood with hidden hinges and Crown Molding. The master retreat features a tray ceiling with the luxury master b"
"New Princeton Classic Home in Arcadia Ridge! Valencia Plan 3719sqft. Plan features master down, study with french doors and a media room. Kitchen features stainless steel appliances with a gas range, granite countertops, tile backsplash, and upgraded sink. Kitchen cabinets are 42 maple wood with hidden hinges and Crown Molding. The master retreat features a tray ceiling with the luxury master bath option. 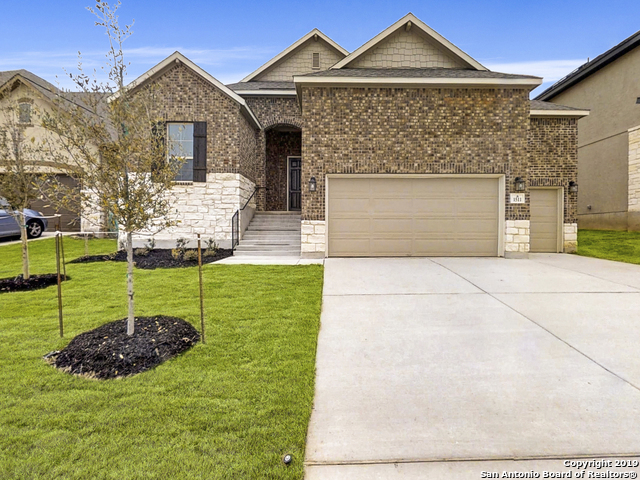 This home is complete with a covered back patio and full irrigation system!" 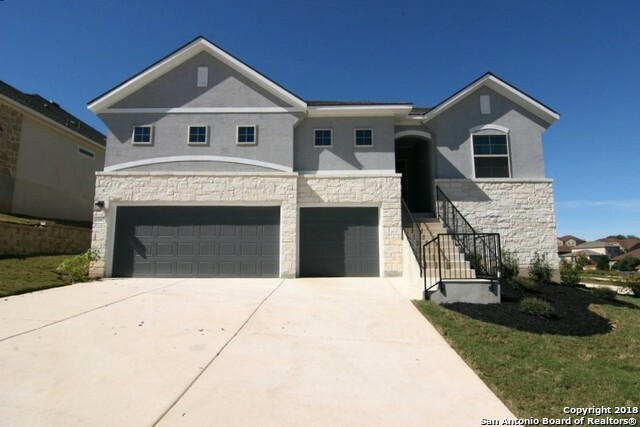 "Beautiful two story home features a stone fence with no neighbors behind it. Large kitchen is open to the family room and comes with granite countertops, stainless steel built-in double ovens as well as a 5 burner gas cooktop. Master bath has separate vanities with a garden tub as well as a large shower with a bench seat and a great big closet. There is a second bedroom downstairs and the 3 bedrooms upstairs are spacious. Wood floors in main living areas. Sprinkler system. 3 car garage." "Open home perfect for entertaining. The gourmet kitchen comes with granite counter tops, large island, built in Stainless steel appliances with a 5 burner gas cook top and double ovens. This kitchen is very open to the family room and the large glass sliding doors make the family room space feel even bigger. The large master suite has an huge shower, plenty of counter space and a large walk in closet. The covered patio has a gas line for a natural gas BBQ. 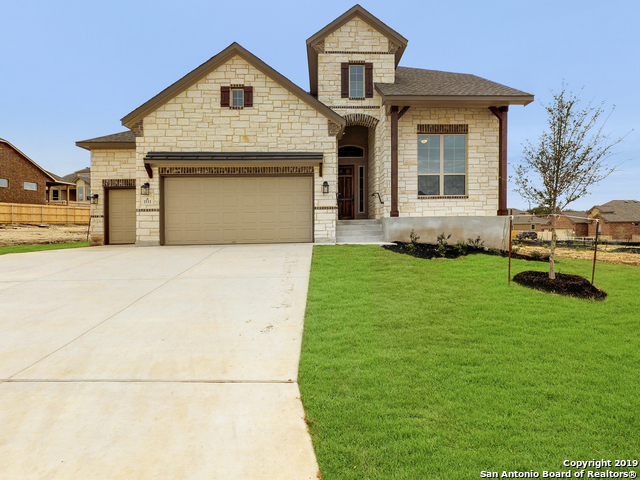 This elegant home also has a full sprin"
"The Rosewood floorplan is a stunning 2-story home that features 5 bedrooms, 3 bathrooms, a bonus game room and a 2-car garage with multiple customizable options. The beautiful kitchen has an oversized granite island that is perfect for entertaining. The kitchen island serves as a separation for the family room and it's adjacent to a quaint breakfast area that overviews the backyard. This home features a formal dining area with easy access to the kitchen through the butler's pantry." 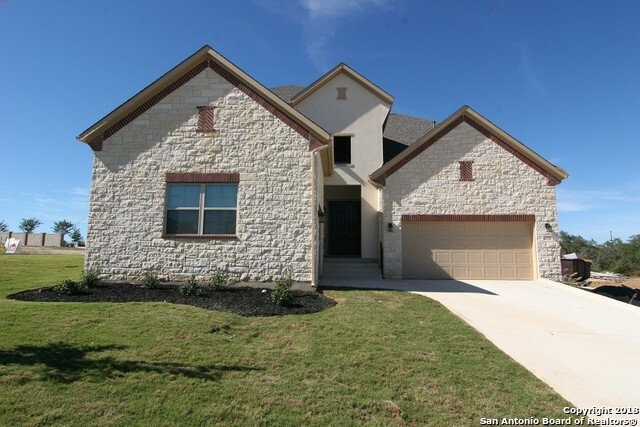 "New Princeton Classic Home in Arcadia Ridge. Atlas Plan 2481sqft. 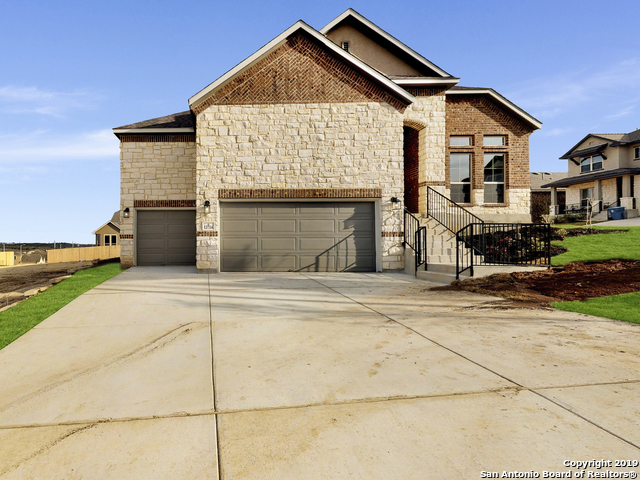 Home features a Mohogany front door, spacious bedrooms, an in-law suite, 10' ceilings throughout and a 12' ceiling in the great room, there is plenty to love about this floor plan. The white cabinet kitchen hosts stainless steel, built-in, double ovens with a microwave sitting over a gas cooktop, and bay window in the breakfast area. 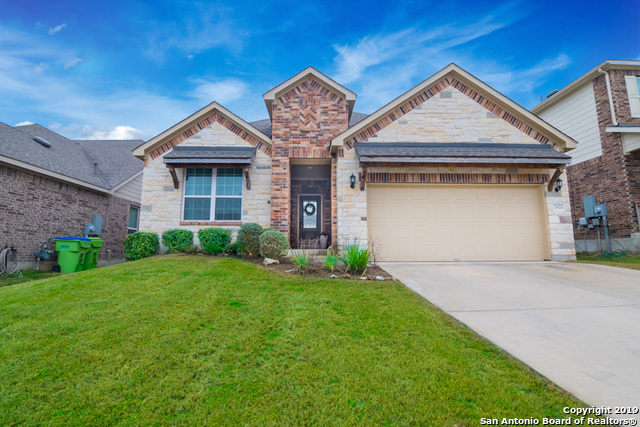 Enjoy the outdoors with an extended covered patio and full yard irrigation system." "One story home with a spa like master bath including a huge shower with frameless glass and a free standing tub inside. Upgraded glazed antique white cabinetry, granite counter tops and tile floors have been selected for this home. Some of the extra features of this home are soft close draws, a contemporary wall mount range hood in stainless steel, a covered patio, and a full sprinkler system. The home site will not have any neighbors behind it and it has a stone wall in the backyard as a fence." 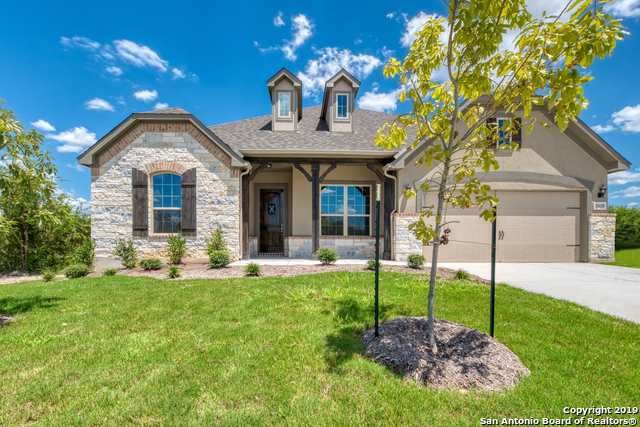 "The Cedar Elm II is a 2-story home that boasts 3,243 square feet, and features 3-5 bedrooms, 3-4 full bathrooms, and a 2-car garage. The kitchen has an oversized island that can include a second sink, and can even be upgraded to a deluxe kitchen, which includes a built-in oven and microwave. The family room can be built to include a fire place, the study can be made into a fourth bedroom, making the half bath a full third bathroom." 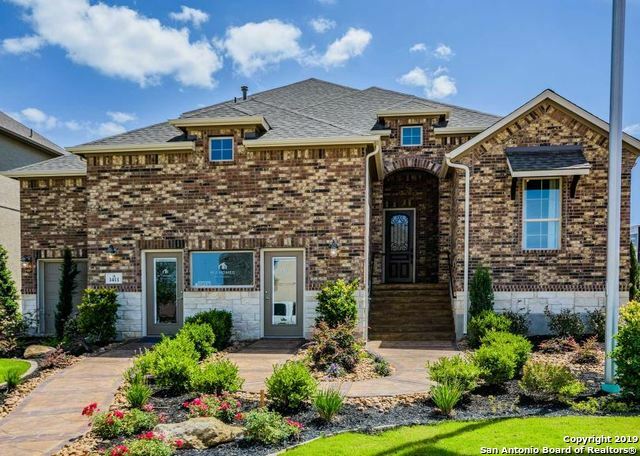 "New Princeton Classic Home in Arcadia Ridge. Alanti Plan 2297sqft. 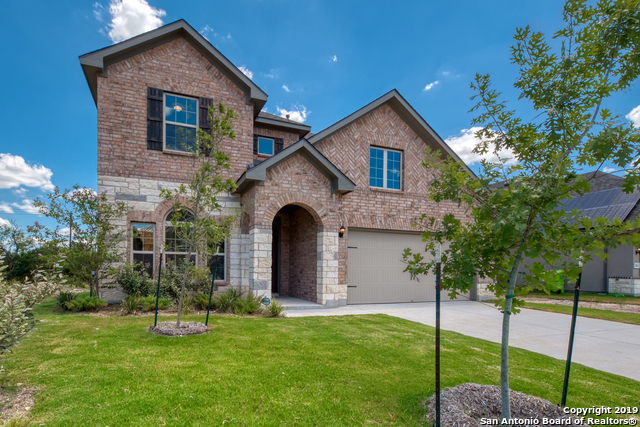 Home features a Mohogany front door, spacious bedrooms, an in-law suite, 10' ceilings throughout and a 12' ceiling in the great room, there is plenty to love about this floor plan. The white cabinet kitchen hosts stainless steel, built-in, double ovens with a microwave sitting over a gas cooktop, and bay window in the breakfast area. 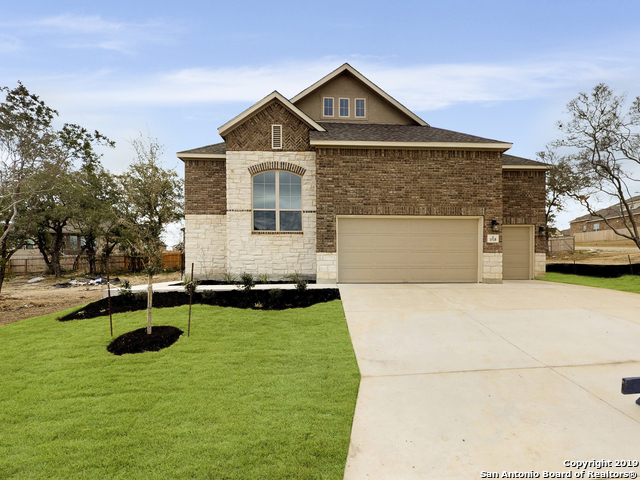 Enjoy the outdoors with an extended covered patio and full yard irrigation system." "This well laid out plan is a spacious one-story. When you walk in you will find an open floor plan with lots of windows. This home features an open kitchen design with an oversized breakfast bar island. The large pantry is sure to accommodate all your culinary needs. The family room is full of natural light emanating from the large windows encompassing the great open room." 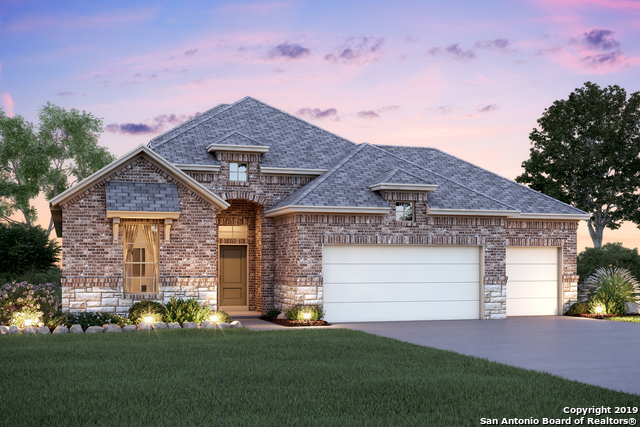 "The Cottonwood is a 1-story home that features 3-4 bedrooms, 2 bathrooms, and a 2-car garage. This home features an open kitchen design with an oversized breakfast bar island. The family room is full of natural light emanating from the large windows encompassing the great open room. 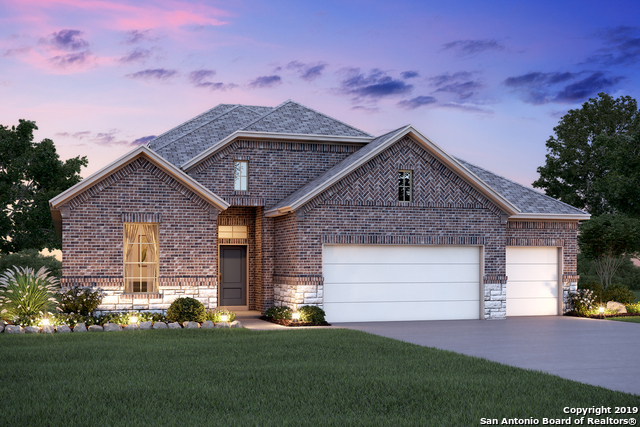 The secluded master features a raised ceiling and an optional bay window to maximize your personal space! There is also an option to add extra storage space into the garage." 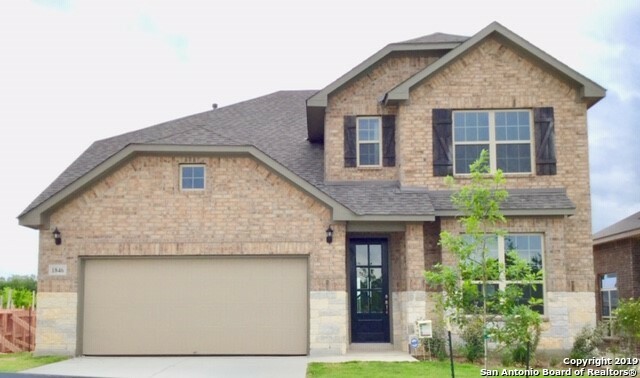 "This Katy floor plan is the same plan as the model home. Gourmet kitchen including granite counter tops and built in stainless steel appliances and a 5 burner gas cook top. Kitchen is open to the family room which has a very tall ceiling. Beautiful wood flooring in main downstairs living areas. Private study. Master bath features a mud set shower and a garden tub. The oversized covered patio is a great place to sit out and spend those comfortable nights on relaxing. Game room, 3 bed., & 2 bat"
"The kitchen can be upgraded to a deluxe kitchen, which includes a built-in oven and microwave. The kitchen also has an oversized island, and opens to a huge family room that has the option to include a fireplace. A bay window can be included in the flex room, and the master bedroom. The garage can be built to have extra storage, or even be made into a 3-car garage." "The Palomar boasts a two-story foyer with scenic views and a spacious second floor game room. This home features upgrades such as granite countertops, built in Gas stainless steel appliances, Game Room, 42 Kitchen Cabinets and crown molding, and two closets at the Owner's Suite. Home includes the the backbone for the Pulte Smart Home. Please contact onsite sales counselor for more details." 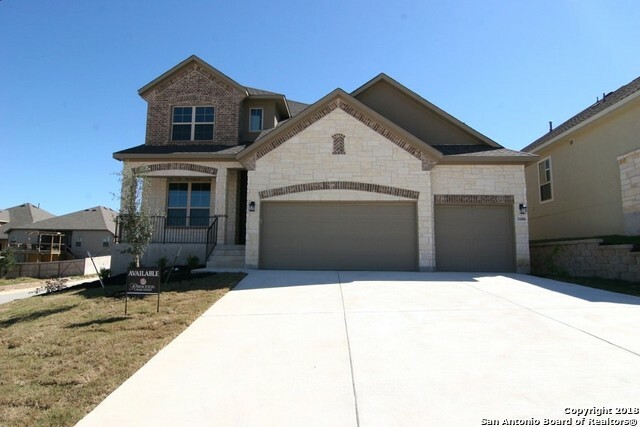 "Beautiful two story home features a gourmet kitchen with granite counter tops, upgraded cabinets, built in stainless steel appliances with single oven and a 5 burner cook top. 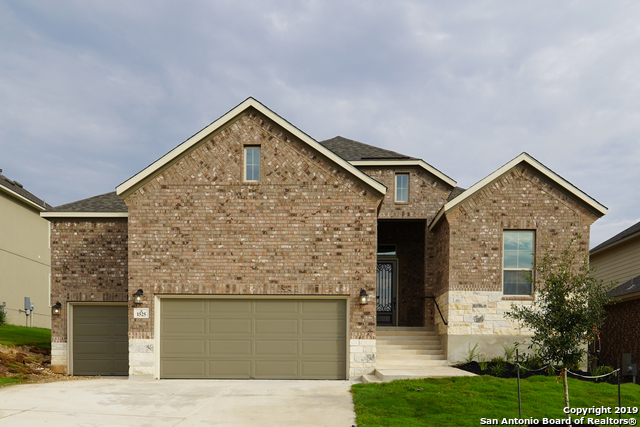 The beautiful front elevation is a combination of brick and stone to give you that Hill Country feel. All of the main living areas have wood floors, tile in all of the bathrooms and utility room, and upgraded carpet in the bedrooms and the game room. Master bath has granite counter tops and a mud set tile shower. Study. C"
"Amazing Open Floorplan - Great for entertaining /Lg Gamerm + Media room/4TH Bdrm up. Gourmet Kitchen w/granite, Island/Brkfast Bar, 2 ovens, Gas Cooktop, Microwave - Stainless - Walk-in Pantry, Lots of Cab & Counters. Lg Master suite down w/luxury ensuite, Dual Vanities, sep Garden Tub & Oversized Tiled Shower & Walk-in Closet. Secondary Bdrm Down - Great Inlaw suite + Mud Room off Garage. Upgraded fixtures, Arches, C-Tile, Computer Niche/Study off Living. 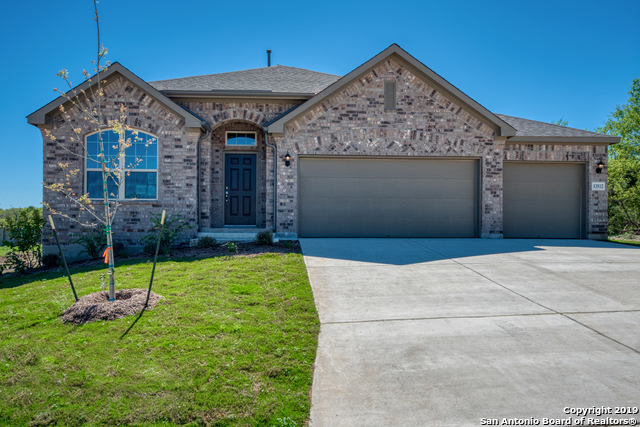 Save over $50k compared to new model - "
"Beautiful 1 story home features a gourmet kitchen with granite counter tops, upgraded cabinets, built in stainless steel appliances, a gas cook top and a large center island that is open to the family room. Formal dining room. 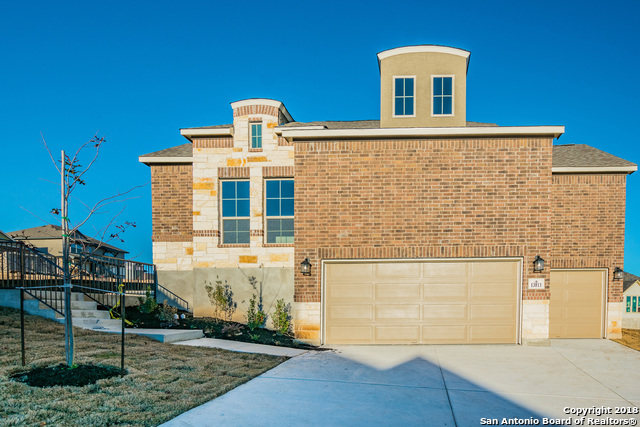 The beautiful front elevation is brick and stone to give you that Hill Country feel. All of the main living areas have designer selected tile flooring. Luxurious master suite with a private bath including a spa like, over sized, mud set shower. Private study." "Beautiful & well-maintained home in the popular Arcadia Ridge, features 3 bedrooms, a study, 3 full baths & 2 car garage. Interior includes high ceilings, open floor plan, separate formal dining room, spacious family room open to kitchen & breakfast area. Island kitchen offers granite counters, pendulum lighting over breakfast bar, decorative back splash, stainless steel appliances & gas cooking. Master suite w/ceiling fan, walk-in closet & separate tub/shower. Covered patio perfect for outdoor "